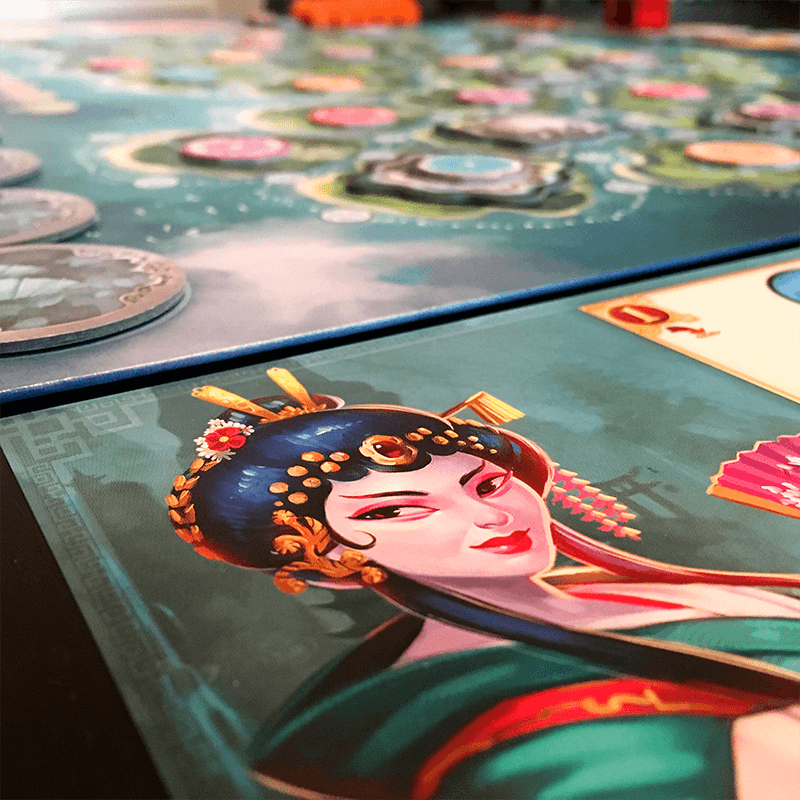 On a day not very different from today, Queen Himiko tasks all the builders in the kingdom with a prestigious mission: to build the capital of Yamataï and make it the jewel of the archipelago. 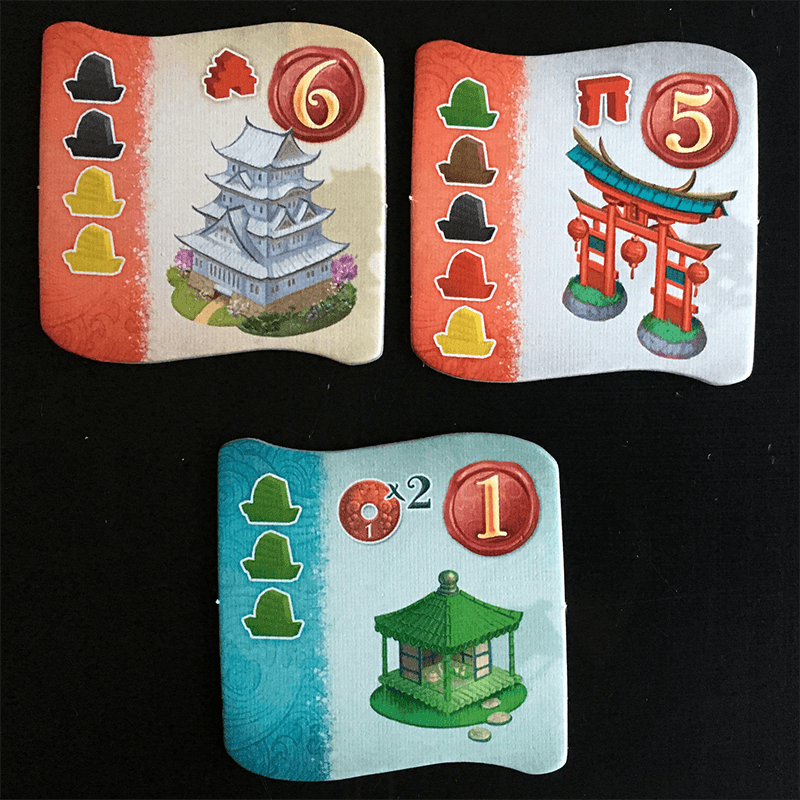 You must surpass your competitors by building the most prestigious city of them all, only then you will be remembered as the greatest builder of Yamataï! 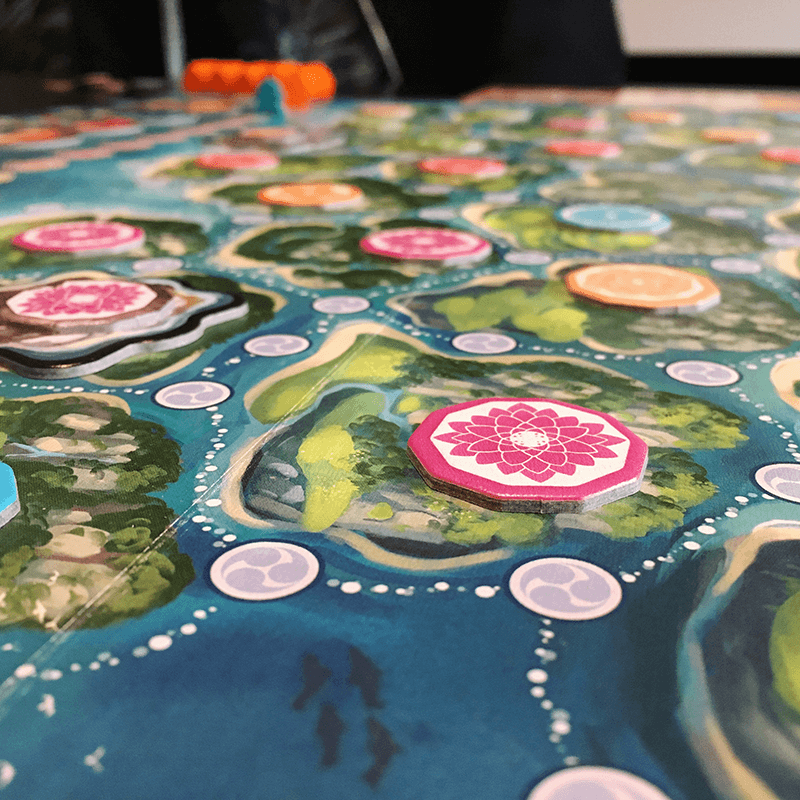 In Yamataï there are a lot of different islands that belong to the archipelago and as much as possible need to be cleared in order to be able to be build on. When an island is cleared, a builder can build a regular or a prestige building on it, but only if the island has the right resources and has not been declared sacred ground. These resources are provided by the boats that you and the other builders dock nearby the islands. During the game builders will gain prestige points and or money for certain building combinations. 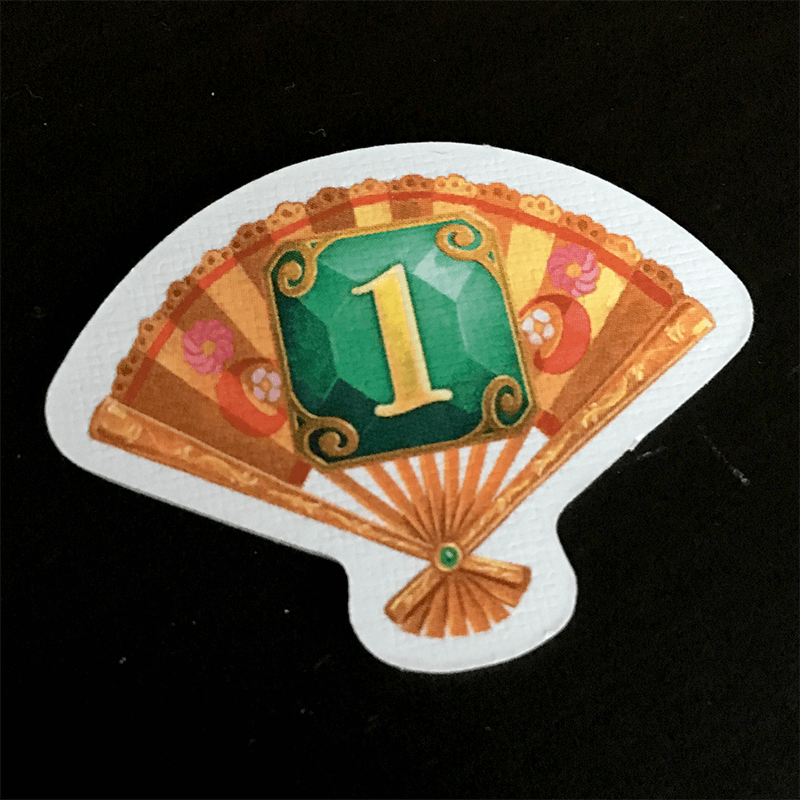 The greatest builder of Yamataï will be the builder who has earned the most prestige points. 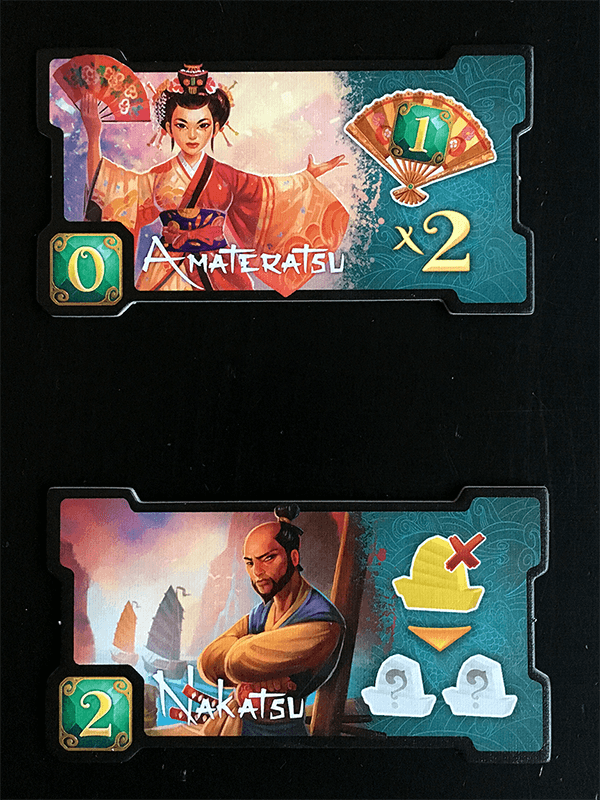 In Yamataï a player has 5 main actions that they have to run through during each turn. 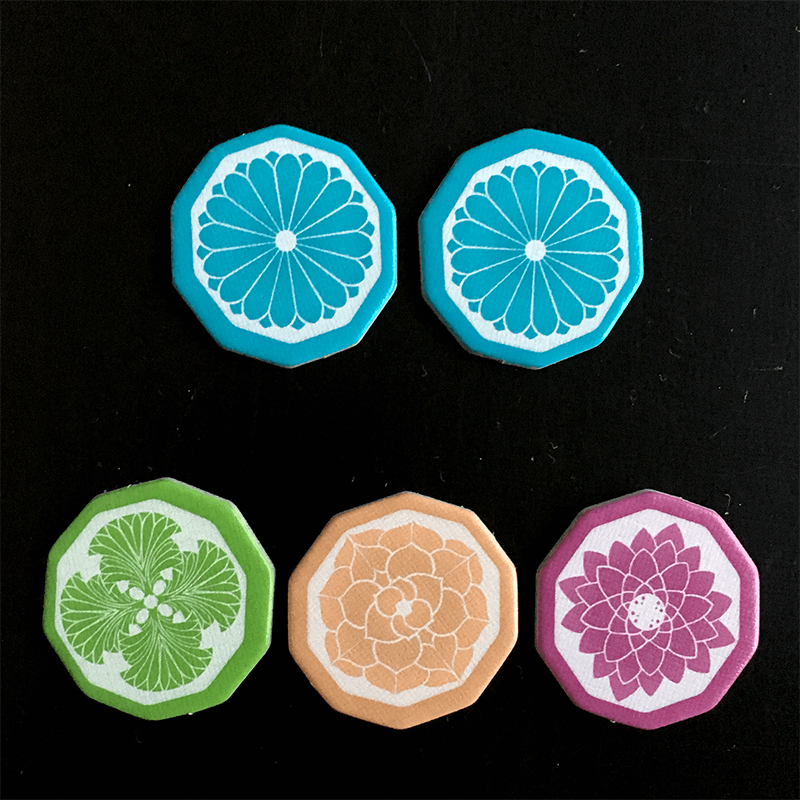 In total there are 10 different tiles, but only 5 will be available during each round. These fleet tiles offer a certain type of boat/resource and usually a small side action you can use to your advantage. For example the fleet in the picture let's you take a red and a green boat. And as a side action, you can swap to previously placed boats. The fleets you choose during your turn also have an impact on next rounds player order. So if you choose fleet card number 8, at the end of this round your meeple (wooden figure) will be placed at that number. This keeps the player order more random and makes you think twice about choosing high fleet card numbers. You can buy more resource boats or sell them if you need the money. There are only a few exceptions here and one of them is that you cannot buy or sell gold boats. The other exception is that you are allowed to do only one transaction per turn. So for example you can buy an extra wood fleet or sell one that you don't need. In this phase a player uses the boats they gathered from the previous 2 actions and then places them on the board. You can only make one chain of boats during each turn and there are some other rules about where you can actually place those boats. This makes the game more challenging than you would expect. But if you placed your boats correctly, you can choose between collecting culture tokens or building. 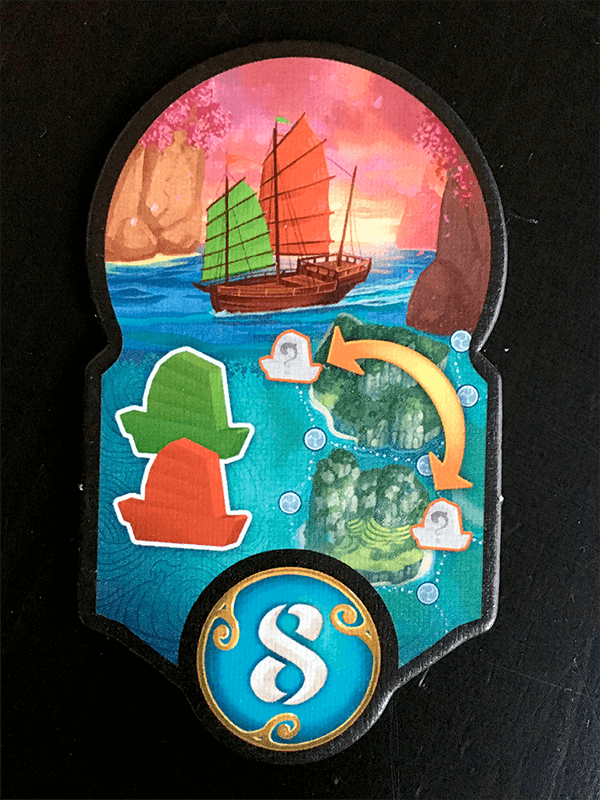 In the beginning of the game almost all islands are covered with culture tokens, these need to be cleared in order to be able to build on the islands. 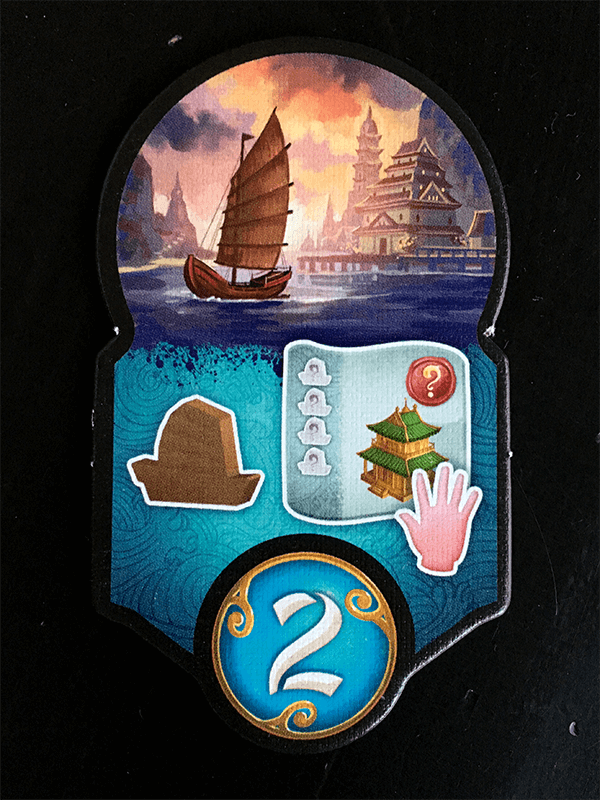 So during the first round(s) it's more likely that you choose to collect culture tokens from the islands near your fleet. You can only collect the amount of culture tokens equal to the amount of boats you placed AND only from the islands next to your boats. These culture tokens will mostly be used to recruit specialists, but they can also have another advantage during the game. You placed at least one boat next to that island during this turn. When these are met, you can choose the building you want to construct from the builders market and place the respective wooden figure on the island. Building a group of normal buildings will earn you extra money every time that group is expanded. Building a normal building next to a prestigious building and/or on a mountain, will earn you prestige points. But also the building cards have prestige points printed on them. So choose your buildings and construction spots wisely! Each player can dock at least one boat and thus save it for the next round. But from the moment you have more than one boat to spare and no docking stations, you will get minus points per every two boats that you weren't able to use during that round. The only way to get more docking stations is by hiring the correct specialist. There are a bunch of specialists in the game, but only 5 of them will be available during each round. Specialists that didn't get hired will have a small money bonus when you recruit them. The bonus money increases every round a specialist didn't get hired. So how do you hire a specialist? I mentioned it earlier that the culture tokens you'll collect, will have use for recruiting specialists. You can do this by spending 2 identical culture tokens or by spending 3 different culture tokens. So I think it really is wise to invest in recruiting specialists to help you win the game. 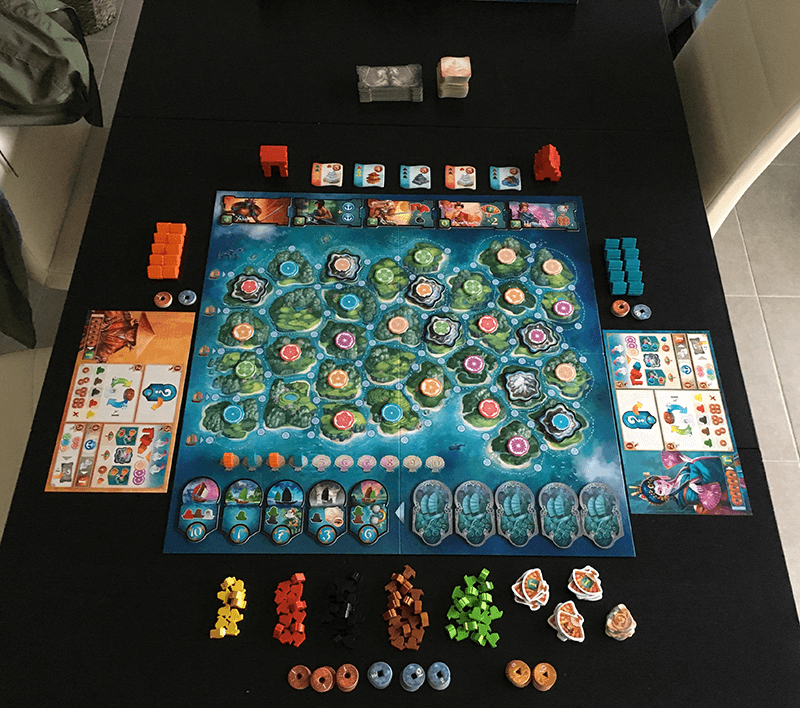 YamataÏ is a beautiful and colourful 2 to 4 player game, very easy to learn and still enough challenge to make it interesting. You really need to think of some sort of strategy to be able to win the game. 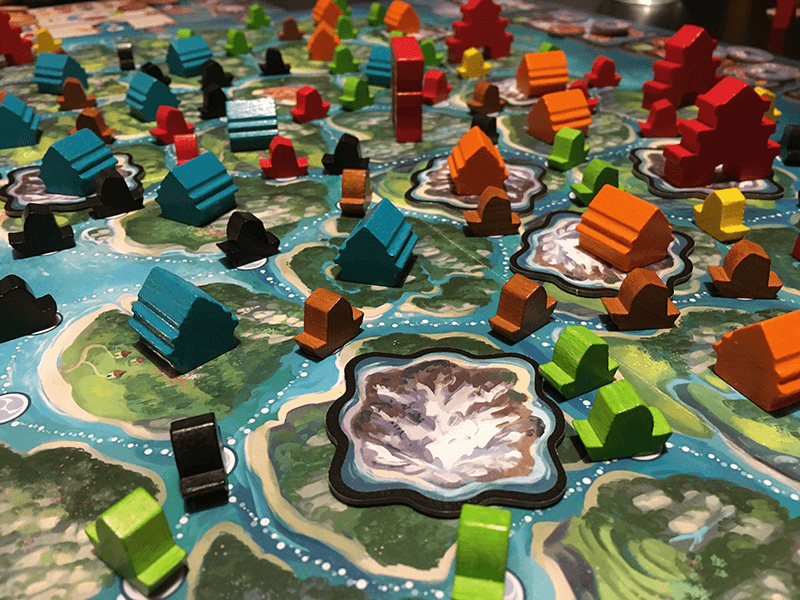 Often by figuring out how to get the right combination or resources at a certain island or how to get rid of resources that make it impossible to build. Also, the game quickly takes up an hour or more to play, so make sure you have enough time. a game for everyone from the age of 13 and up. language independent! Except for the rules, but they can be found online.